June 18, 2012 - U.S. District Court Judge Terry R. Means put a temporarily hold on a union organizing election that was to begin on June 21, and run through August 2, at American Airlines. Judge Means stated the carrier was likely to win the lawsuit to prevent an election among its passenger service agents. Judge Means scheduled a hearing in the case for June 21. The Communications Workers of America had been asked to represent nearly 10,000 of American Airlines passenger reservation agents which represent the company’s largest group of nonunion workers among American’s 73,000 employees. American Airlines in its suit filed in May against National Mediation Board, argued that under a new law enacted in February, Communications Workers of America union did not have the number of workers needed to sign cards calling for a union representation. Communications Workers of America union agued that it filed a request for an election in December 2011, under the old rules which only required 35 percent support. However, American Airlines claimed under the new law which was created in February 2012, by the Republican House the bill requires 50 percent. This new law sets rules governing union organizing elections at airlines and railroads. The mediation board sided with the union and decided this month to go ahead with an election. In a statement released by the Communications Workers of America on the district court judge’s decision granting a temporary restraining order sought by American Airlines they stated “The decision by a U.S. District Court Judge granting a temporary restraining order to block the vote by nearly 10,000 passenger service agents means workers, not American Airlines, will suffer irreparable harm the standard for such an order. Clearly the airline is afraid of workers having their democratic vote and has been fighting hard to stop it. “Agents who are being forced to make life-changing decisions right now about their jobs will be harmed by this vote not going forward, not American Airlines that filed for bankruptcy with $4 billion in the bank, in large part to throw out its collective bargaining agreements with union workers and gut the jobs, benefits and working conditions for the passenger service group. 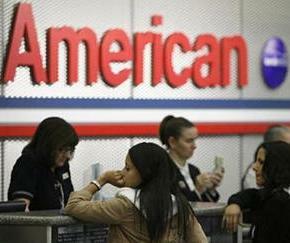 “Agents who want a union have been battling a vicious attack campaign for 15 years at American Airlines. This election, after repeated delays by American Airlines, finally was set by the National Mediation Board. But American Airlines doesn’t want to follow the law, it’s trying to rewrite the law. There is no retroactivity for legislation, and clearly none for the Federal Aviation Administration Reauthorization. That’s been made clear to the airline by Senate leaders, who wrote to CEO Thomas Horton on May 15. “Beyond the clearly established precedent that limits the retroactivity of changes in the law, in this case, Congress included specific language in the amendments addressing this issue,” they said.